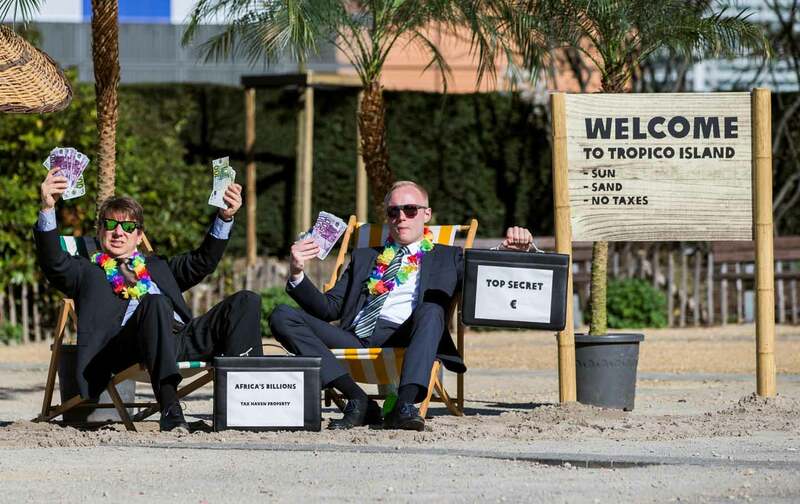 The Paradise Papers—the trove of 13.4 million documents leaked largely from the files of Appleby, a Bermuda-based law firm—detail the many ways the biggest corporations and richest individuals use tax havens to avoid taxes, obscure ownership, and hide financial transactions. Reporters have only just begun to comb through the documents, but two things are already clear: First, Leona Helmsley was right when she famously said, “Only the little people pay taxes.” Second, the Republican tax bills are built around a very big and shameless lie. The revelations show once again that the very wealthy of many countries—particularly the United States—and the largest global corporations don’t pay taxes like the rest of us. They use sophisticated law firms and accountants to set up shell companies, private trusts, and other dodges to avoid high taxes. Millionaires and billionaires of all ideological stripes—reactionaries like the Koch brothers and Robert Mercer, major Republican donors like Steve Wynn and Sheldon Adelson, liberal donors like George Soros and Penny Pritzker, Trump officials like Secretary of State Rex Tillerson and economic adviser Gary Cohn, Russian oligarchs like Leonid Mikhelson, celebrities like Bono and Madonna, and even Queen Elizabeth II—use offshore companies, obscure ownership arrangements, and elaborate trusts to avoid taxes. Global companies like Apple, Nike, Citibank, JPMorgan Chase, and Uber avoid literally billions in taxes. Accountability is a joke. Commerce Secretary Wilbur Ross misled Congress about his divestments while using a chain of Cayman Islands offshore fronts that obscured investments in Navigator Holdings, which invests in a shipping company with ties to a Russian oligarch under US sanctions and with Vladi­mir Putin’s son-in law. Chief Executive Tim Cook told Congress that Apple doesn’t “stash money on a Caribbean island” even as the company was creating a new tax haven in an island in the English Channel.